The college-admission cheating scandal that erupted Tuesday saw its first plea from one of the parents, who are accused of paying as much as $6.5 million (U.S.) in fees and bribes to get their kids into school. 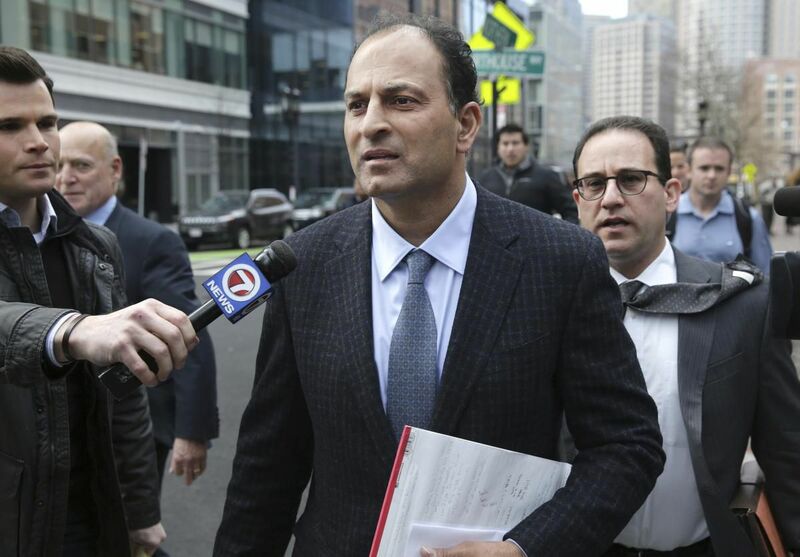 In federal court in Boston on Friday, Canadian dealmaker David Sidoo pleaded not guilty to conspiracy to commit mail and wire fraud. Sidoo is among dozens charged in an alleged criminal conspiracy to help applicants from wealthy families win admission to elite schools including Yale, Stanford and Georgetown. The only parent indicted of 33 charged in the case, he was arrested in San Jose, California, on March 8 and released on a $1 million bond. He was accompanied by his lawyers David Chesnoff — whose past clients include Martha Stewart, Robert Durst and Michael Jackson’s family — and Martin Weinberg. “Why did he plead not guilty?” Chesnoff said outside the courtroom after the brief hearing. “Because he’s not guilty.” Sidoo and his lawyers then fled a gaggle of cameras. Sidoo is accused of paying $100,000 for a surrogate to take the SAT entrance exam for his youngest son, Jordan. The impostor scored 2280 out of a possible 2400, according to prosecutors. Earlier, they allege, he had the stand-in take his older son Dylan’s high school graduation exam and SAT. If convicted, Sidoo faces as many as 20 years in prison, according to the U.S. Attorney’s Office in Massachusetts. Sidoo played professional football in Canada and went on to become a prominent dealmaker and promoter, serving on the board or management of numerous Canadian penny-stock companies. He is a well-known philanthropist in British Columbia. The case is U.S. v. Sidoo, U.S. District Court, District of Massachusetts (Boston).